Needless to say, I was very stoked about vertical farming. Over the next year between 2007-2009, I read anything I could find on the topics of sustainability. One of the big objections to vertical farming over and over again was that it was going to put farmers out of job. My reaction was to search for a solution and switch the critic's perspectives. Vertical Gardens could provide all of the food that we need in cities around the world, but we don't just grow food now, do we? What if farmers could make more money by growing renewable cash crops instead of perishable foods? While studying agriculture, I also found out that we lose more than half of our food supply to spoilage and bad weather. This is when I stumbled upon a book by Jack Herer, called The Emperor Wears No Clothes. The "emperor" that he was referring to was an illegal plant, named Cannabis Sativa, also known as Industrial Hemp. In this book, he detailed how Hemp was originally the reason behind Alcohol Prohibition. Henry Ford was capturing over 25% of the market with his ethanol for his cars. This ethanol was derived from his Industrial Hemp Farms. He was planning on making the next line of Model Ts and other automobiles out of hemp plastic, which was stronger than steel because it was more flexible. Standard Oil, which became a convicted monopoly organization, sponsored a law to declare alcohol illegal to prevent people from becoming drunk. In fact, they were also effectively illegalizing ethanol alcohols too. Prohibition lasted just long enough to put Henry Ford's ethanol out of business and prevent him from ever making cars out of hemp. When Prohibition ended, a new invention took hemp to the front-cover of Popular Mechanics Magazine. The issue declared hemp as the first 'Billion Dollar Crop' back in 1938. So why has it been illegal since then? Well, once again, big industrialist corporations that owned paper, plastic, chemical, and petroleum investments did not want to see their business taken by some ditch weed, marijuana. They used their press-connections with newspapers and radio to demonize hemp and they made it a racial issue, known as "Reefer Madness". They learned from Prohibition and didn't make hemp completely illegal. Instead, they created the Drug Enforcement Agency and required any cannabis farmers to bring their plants in to receive a "tax stamp". Obviously, they would be arrested for possessing an illegal plant without a tax stamp way before they were able to get one. Now fast forward to modern times and we all know that Hemp is one of the most beneficial plants on the planet. We also know that Marijuana has MASSIVE medical benefits. Not to mention, the plant is worth more than just a billion dollars now. In fact, Colorado alone has made over a billion dollars per year since 2016 off of marijuana revenues. This doesn't include the potential of industrial hemp! The results are in, and the "War on Drugs" is a MASSIVE failure. One of the best things about the Drug War though is that it forced marijuana growers inside. Because of this, we now have all the right technology to grow plants inside! Marijuana is the reason we can make vertical farming a reality! It's going to take a couple decades to build all the vertical farms and monolithic domes necessary to guarantee our civilization's survival. During this time, farmers can switch from growing food to growing hemp and other cash crops. When I discovered monolithic domes several years later, I remembered all my research on hemp, particularly hempcrete. What if we built the resort out of these materials? Hemp and Bamboo can make the best building materials possible for monolithic domes. Our whole economy could be supported by these plant-based resources. The big takeaway here is that hemp and bamboo can sequester all the excess carbon dioxide in the atmosphere into useful products and building materials. Not to mention, they're both biodegradable. Hemp can be made into anything that petroleum, cotton, concrete or trees can make. It can also make safe medications. Bamboo can be used as a support material and has a variety of uses as well. As a company, we plan on changing all of our clothing over to a durable hemp & soft bamboo blend once it's viable. The vertical gardens would be able to have a consistent quality output for food within its controlled growing environment, while horizontal farmers can grow the crops we need to rebuild our infrastructure. 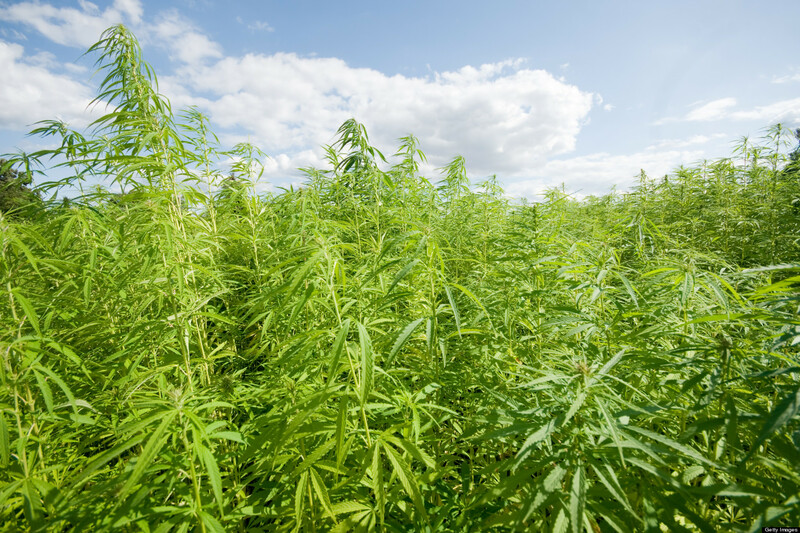 Hemp and bamboo grow many times faster than traditional trees, they require very little pesticides, and they help to repair the soil from monocropping factory farming. Eventually, the majority of all agricultural land could be repaired and farmers could also be paid to maintain their land as natural habitat and ecosystem. The environment will be able to heal itself if we just let it be and focus on making our cities as sustainable as possible. The Earth's ecosystem provides trillions of dollars of economic value for free to humanity. All it asks is for us to watch over it, not plunder it. Isn't it About Time that We All Work Together to Ensure that this is the Legacy that Our Generation Leaves for the Future Children of Our Planet? Want to Keep Reading Part Six? Do you have any products made out of hemp or bamboo? How do you feel about replacing petroleum-based plastics with these plants?